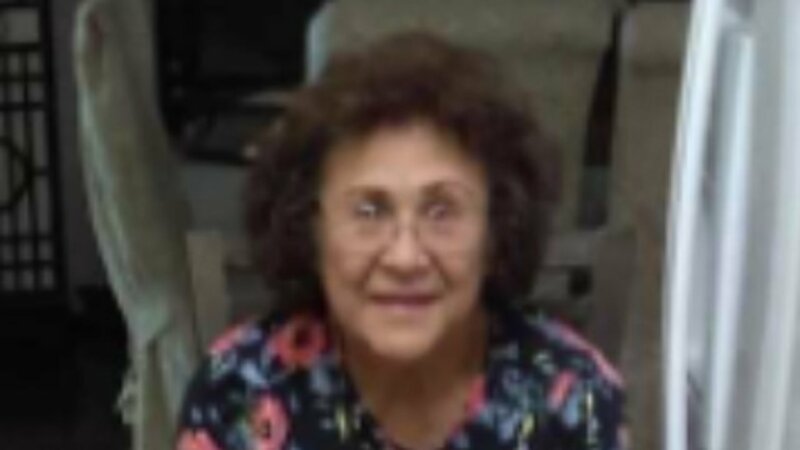 CHICAGO (WLS) -- The Cook County Medical Examiner's Office confirmed Thursday that body parts found in the Lincoln Park lagoon over the weekend belong to Gail Peck, 76, of Elgin. Fishermen discovered a torso and part of two legs in a duffel bag in the lagoon in the 2200-block of North Stockton Drive in the city's Lincoln Park neighborhood Saturday morning. Additional remains were found in Lake Michigan near Montrose Harbor. Gail Peck was last seen Friday in the 700-block of Littleton Trail. She left home to walk her dog, which later returned without her, police said. Peck was described as a 5-foot white woman with black hair and hazel eyes. Gail Peck was reported missing by her son, 55-year-old Brian M. Peck. Brian Peck was charged Tuesday with premeditated first-degree murder, first-degree murder and concealment of a homicidal death in the death of his mother. Police began questioning Brian Peck as a person of interest Monday, and said early on they believed the remains belonged to Gail Peck, who had a scar from back surgery that was also on the torso. The Cook County Medical Examiner's Office conducted additional testing, including DNA testing, to confirm the identity of the body parts. Prosecutors said that after questioning, Brian Peck admitted to the murder. After being confronted with evidence by police, prosecutors said Peck told them he put her in the bathtub and hacked her up. Then, he allegedly made an elaborate plan to dispose of her body. "The defendant said that on Wednesday, he drove the bags that contained her head and arms to Montrose Harbor and threw those bags into Lake Michigan. The defendant said the next day, he purchased a suitcase and a duffel bag, put her torso and legs in those items, drove down to Chicago and threw them into the water near Diversey Harbor," prosecutor Maria McCarthy said. Prosecutors laid out a timeline for the murder starting early Wednesday morning. Peck allegedly told police he stomped on her head and neck around 3:30 a.m. Wednesday. Later, police said he withdrew cash from his mother's account and was seen making purchases of cleaning supplies. On Thursday, police said he was seen on video purchasing luggage identical to what the victim's body was found in. On Friday, he allegedly transferred money from his mother's savings account and he later called 911 to report mother missing. On Friday evening, police searched his home and found blood stains in the victim's room. On Saturday, a Fisherman found human remains in Lincoln Park lagoon, which the medical examiner said were consistent with a 76-year-old woman. Prosecutors laid out their theory for what may have led Peck to kill his mother. "The defendant said that his mother was furious that he was playing his music so loud. The defendant said that she told him she wanted him to leave," McCarthy said. Gail Peck's manner and cause of death is pending further study, the medical examiner said.